Who would have thought that a church, a mosque and a temple could come together and give blood? 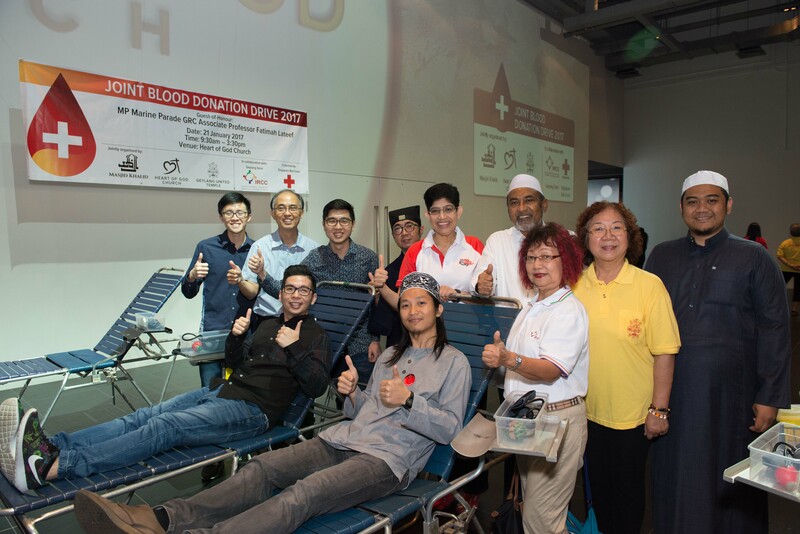 In January, Heart of God Church, Khalid Mosque and Geylang United Temple did just that with a Joint Blood Donation Drive held at Imaginarium. In total, 71 litres of blood were collected in just 5 hours. Fun Fact #1: The original projected collection was 100 bags of blood, but the Red Cross collected a total of 158 bags – that’s almost 60% more packs of blood than expected. The turnout was so high that we even had to cancel the last slot as there were not enough donor beds to meet the demand! Fun Fact #2: One bag of blood can save 3 lives, so the 71 litres we collected could potentially save 474 lives! Fun Fact #3: We had a total of 96 first time donors with the youngest being just 16 years old. The Red Cross Donor Manager even commented that she had never seen so many young people so willing to participate in a blood donation drive! Fun Fact #4: The 3 religious organizations have been working on this project for the last 2 months. It was great to finally see everything come together. Aside from the leaders of the different religions being present, the event was also graced by our Member of Parliament for Marine Parade GRC Associate Professor Fatimah Lateef. We love the strong show of religious harmony in the Geylang Serai community. A big thank you to the 235 HOGC participants and over 50 volunteers who helped to make our very first Inter-Faith Joint Blood Donation Drive at Imaginarium a success!